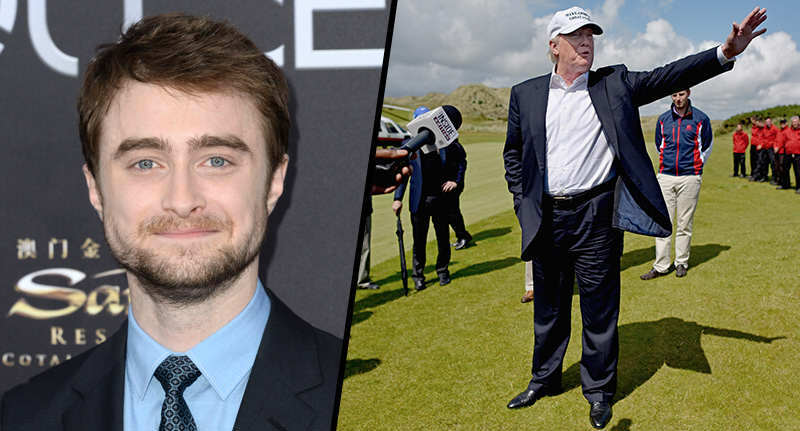 Donald Trump is currently baffling many by being a legitimate candidate for the upcoming U.S. presidential elections and it seems Harry Potter star Daniel Radcliffe is just as confused as everyone else. However, even more bizarre is the advice ‘The Donald’ apparently gave Radcliffe when he was just a bright-eyed 11-year-old. Appearing on Late Night With Seth Meyers this week, the actor revealed what happened when he bumped into Trump backstage before they were both set to appear on The Today Show many years ago. And when Radcliffe told Trump he was nervous and unsure what to talk about in his first live TV appearance, Trump’s advice was simple: “You just tell them you met Mr Trump”. So Donald Trump has a massive ego. Who would have guessed?